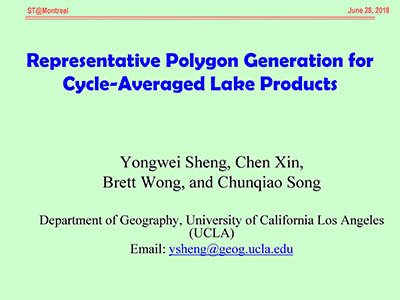 Sheng, Y., Song, C., Lettenmaier, D.P., and Ke, L. (13-Dec-16). 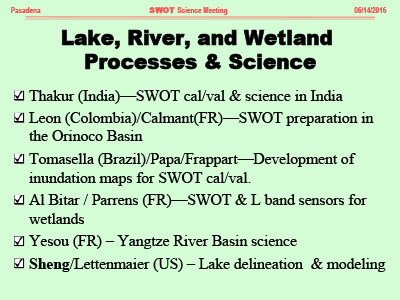 The SWOT mission's scientific requirements state that SWOT should provide a global inventory of terrestrial surface water bodies whose surface area exceeds 250x250 m2. 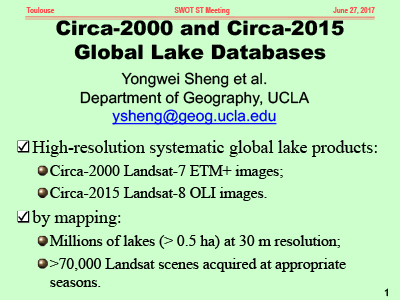 However, our knowledge about locations and quantities of SWOT-observable lakes is rather limited. 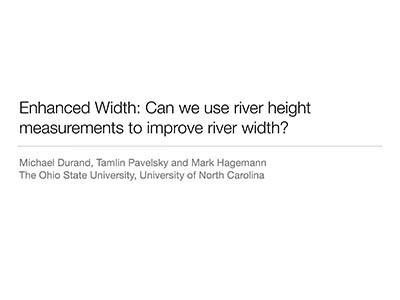 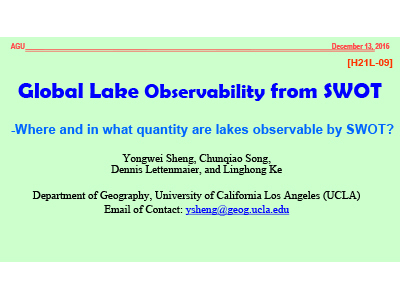 This research intends to produce a SWOT-observable lake map using our recently produced global lake database, SWOT orbits, and terrain layover effect simulation based on KaRIn's sensing geometry. 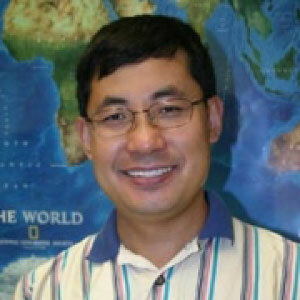 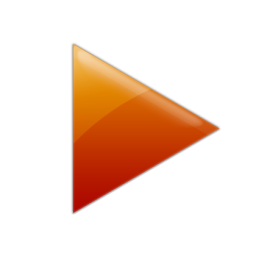 PI: Yongwei Sheng (17-Jun-17). 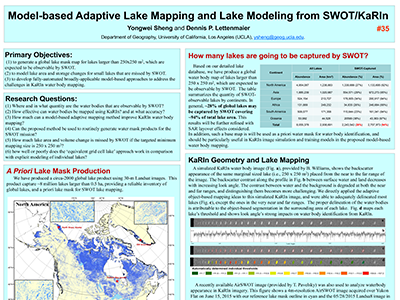 This project seeks to contribute to lake mapping and lake product generation in the SWOT mission. 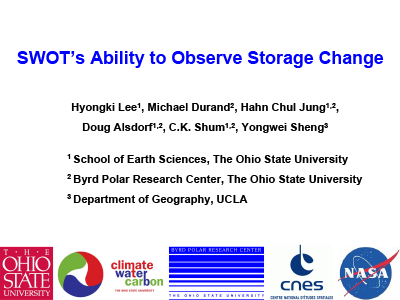 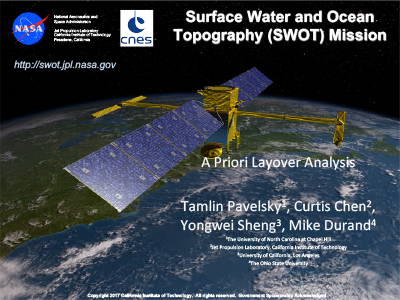 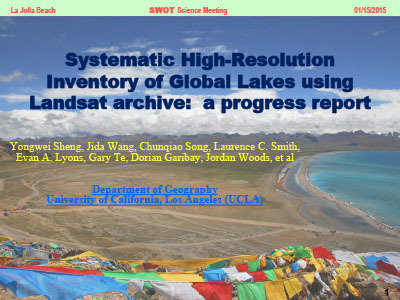 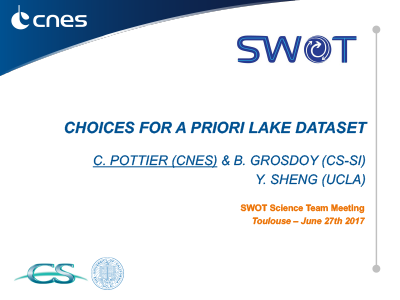 We in Year 1 concentrated on modeling SWOT topographic layover distributions based on KaRIn's sensing geometry, and analyzing global lake observability from SWOT using our recently produced global high-resolution lake database, SWOT orbits, and terrain layover simulation. 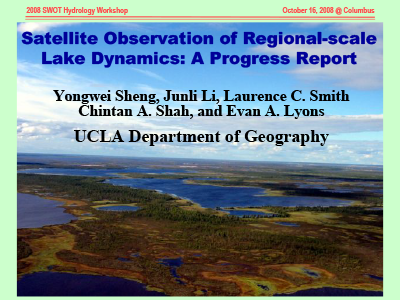 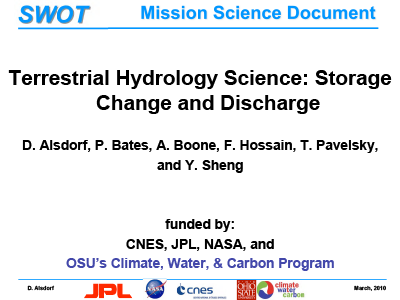 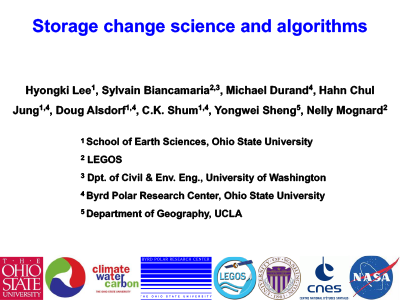 The major research objectives in Year 2 include (1) to finalize global lake observability results and study global reservoir observability; (2) to model uncertainty in SWOT lake mapping; (3) to investigate lake compositing methods in cycle-based lake product generation.